Aromatherapy is a holistic hands-on therapy which promotes a physical, spiritual, emotional and mental sense of harmony. This entirely relaxing massage treatment uses the essences from plants to help balance and unify the mind, body and spirit. Aromatherapy works in two ways – by the inhalation of essential oils and the application of them during a body massage. It is a very successful treatment in reducing stress and improving the general state of health and well-being. 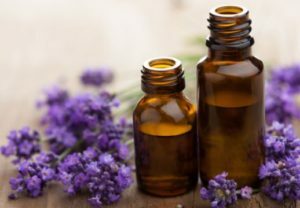 Essential oils are derived from plants and trees with properties known to have many beneficial actions which can soothe, relax, stimulate, heal and beautify. After an initial consultation I will create a blend of oils that have the therapeutic properties that specifically match your needs. You can be confident in knowing that I only use Certified Pure Therapeutic Grade essential oils, none of which are adulterated with cheap or synthetic materials.